The evidence is overwhelming. The communities across the U.S. experiencing an urban renaissance are also experiencing a housing crisis. The crisis is one of cost. According to economists at the Federal Reserve Bank of St. Louis, the average rents on units of shelter have grown faster than the rest of the elements of the consumer price index (CPI) for the past 2.5 years. Moreover, the trend goes back roughly 10 years where rental housing is leading the rest of the CPI in the rate of increase. As discussed in a previous column, according to the National Low Income Housing Coalition, the required wage to keep housing within the reasonable goal of one-third of household income is over $20 per hour in 13 states and the District of Columbia. As stated in their 2015 report “Out of Reach” there is no state in the country where someone working a minimum wage job (the federal $7.25 rate) can earn enough for a one bedroom apartment, unless they work 85 hours per week. A two bedroom unit would require over 100 hours of work per week. What is the reaction of field of public sector to this challenge? For renters, the first stopgap is the use of rent control as a mechanism to stabilize prices. New York has had a system in place for decades, which has been extended by the state Legislature for a few more years. The Seattle City Council has asked the Washington Legislature to remove the ban on rent control laws. San Jose is considering an even tighter set of laws for next year. Richmond became the first California city in 30 years to pass a new rent control ordinance. These communities are also looking at legislation regarding when and how tenants can be removed from their units. Economists traditionally have opposed the use of rent control because of potential adverse effects on housing supply. The concern is that a cap on the price of rental housing (rent) will restrict supply and encourage demand (housing costs will be less than under the market equilibrium price hence higher demand), resulting in shortages. Further, the restriction on rent will discourage landlords from maintaining their properties, leading to deteriorating housing conditions. Then there is the adverse effect on demand of unregulated units increasing in price at higher than market rates. In fact, according to the Harvard Joint Center for Housing Studies most rental units in the U.S. are in buildings of less than 10 apartments. It is thought that these units would be most likely to see the highest increases when looking at side effects of rent control. Yet, the rapid rises in rents are viewed as the type of market failure that requires a governmental response. Is it possible to lessen the problems through the expansion of housing supply? The typical tool governing the supply of housing is zoning as these rules govern density and availability of land. Yet the cities with the highest rentals also have the highest density. In fact they are also the ones with the most construction activity. According to the U.S. Census Bureau, the population of New York has grown by 300,000 people since the last census. Boston, a much smaller city, has grown by 30,000 residents over the same period as has San Francisco. The housing crunch is exasperated by declining size of households which means there is greater demand for housing per thousand in population. Are the nearest suburbs a possible release valve for the market pressure? In the Boston area, the communities of the urban core have also seen big increases in real estate values. There are now nine communities in Eastern Massachusetts where the average assessed value of a single family home is at or greater than a million dollars. This includes the close-in areas of Cambridge, Belmont, Newton and Brookline. There areas have access to public transit and a range of employment opportunities, all these factors increasing the average rents. Since 1969, the Commonwealth has implemented Chapter 40B which allows developers latitude around zoning rules in communities that do not have a sufficient percentage (10 percent) of affordable housing. The law allows for up to 25 percent affordable units but 75 percent or more at market rate. There are caps on profitability (enforcement of the caps is another issue) to make sure the market rate units aren’t too high in price. However, the recent outcome seems to be generating mostly high-end housing with small amounts of affordable housing. Under pressure to expand affordable housing and to respond to harsh critics of the zoning override, the Commonwealth put in place Chapter 40S which provides incentives for transit oriented smart growth. To meet the challenges of the housing price crisis, bolder vision is required to guide sufficient government action. 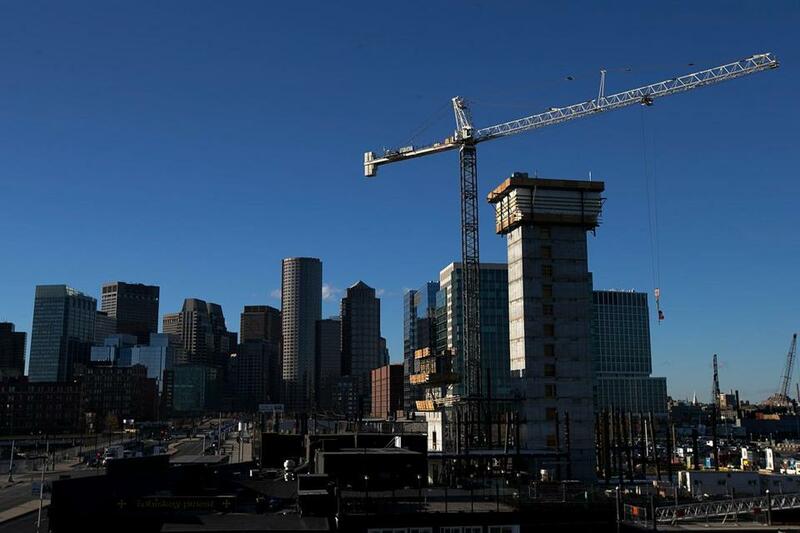 The Mayor of Boston, Marty Walsh, has published an ambitious plan for developing 53,000 new units of housing by 2030. These units are designed to meet the needs of various income and demographic groups including senior citizens. The plan calls for a significant public-private partnership that includes regional cooperation and participation with universities to provide dormitory space in order to take pressure off rental markets. This type of comprehensive plan is an important step toward making housing affordable in our most desirable urban areas. Author: Dr. Ben Tafoya is the undergraduate program director in the School Of Public Policy and Administration at Walden University. He served as a local elected official in Massachusetts for nine years and is still active in governmental affairs. Ben has his doctorate in law and policy from Northeastern University and a BA in Economics from Georgetown University. He can be reached at [email protected].